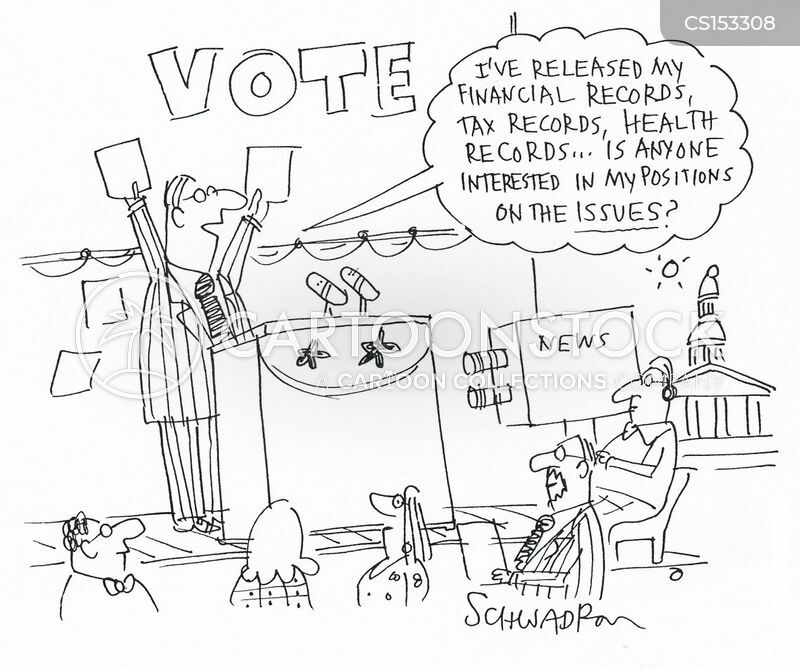 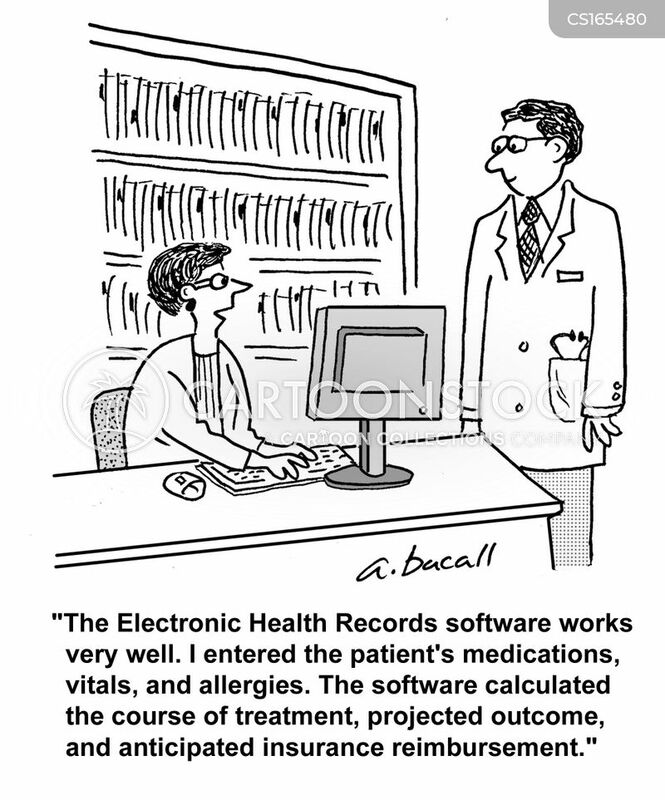 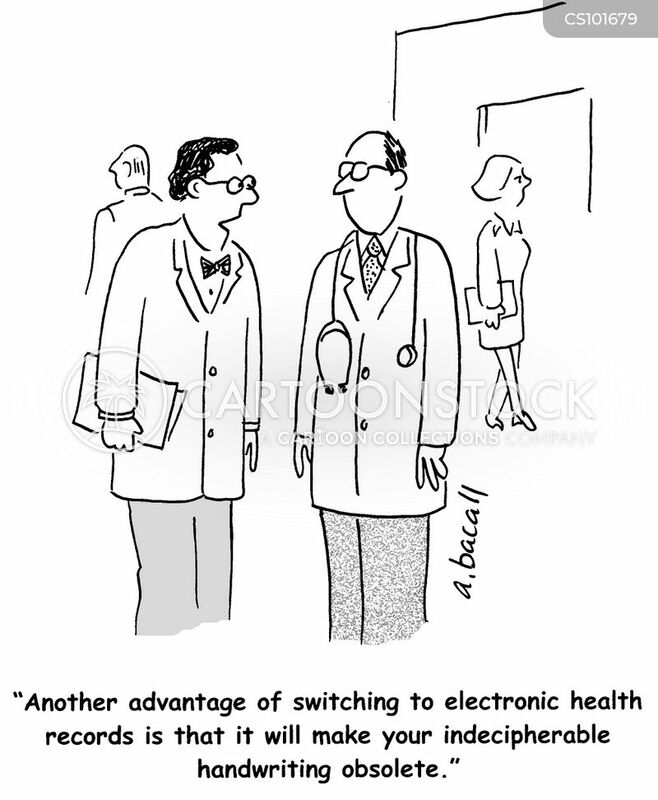 "I can't wait until we convert to electronic health records. 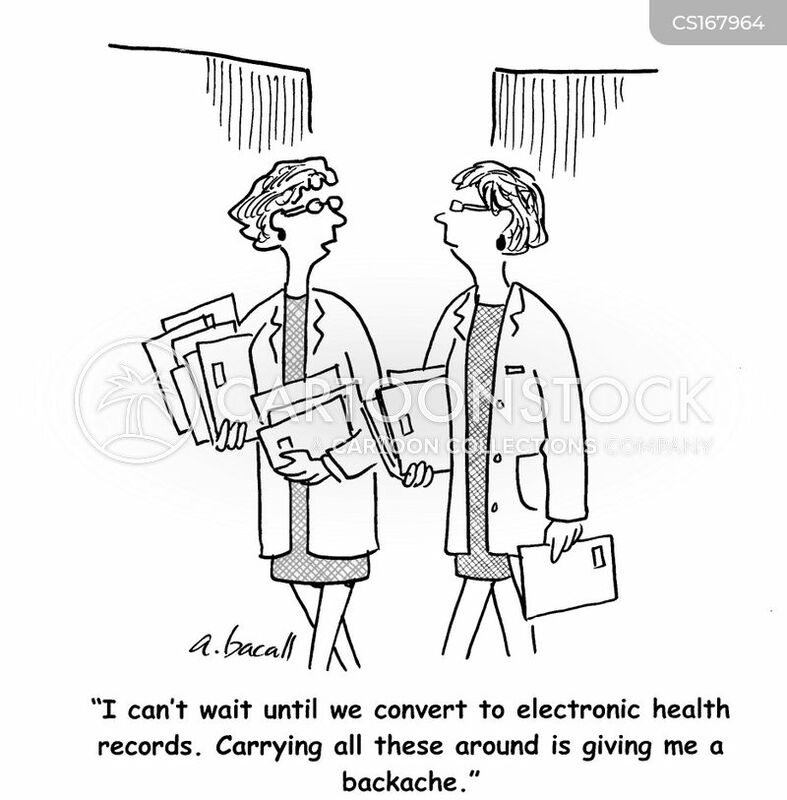 Carry these is giving me backache." 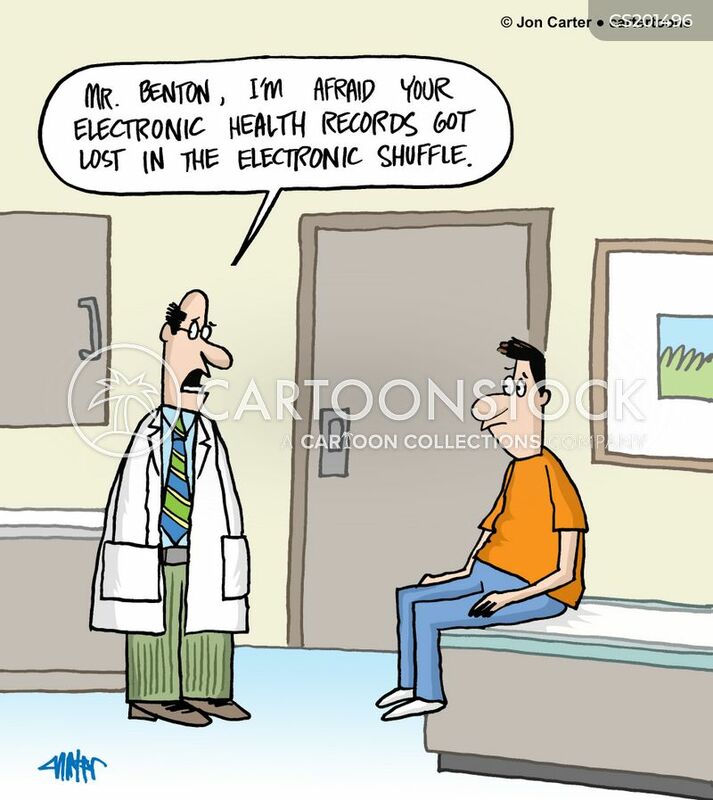 "Mr. Benton, I'm afraid your electronic health records got lost in the electronic shuffle." 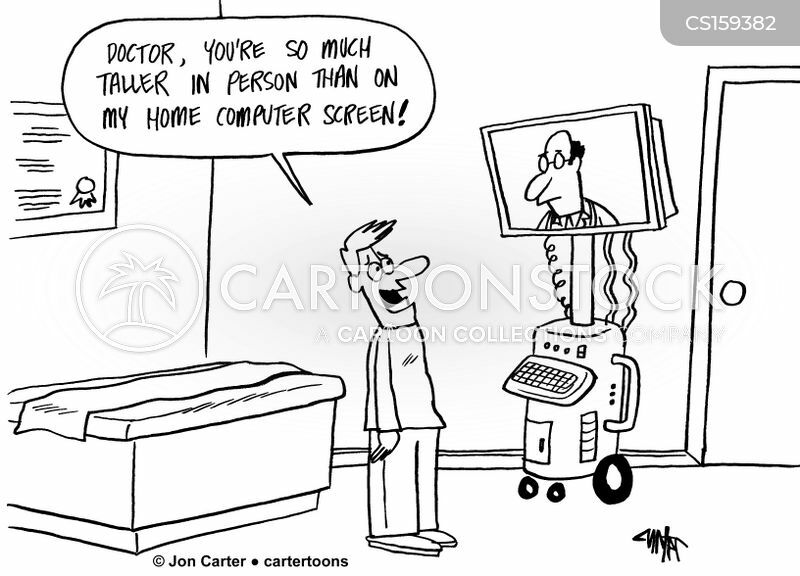 "Doctor, you're so much taller in person than on my home computer screen!" 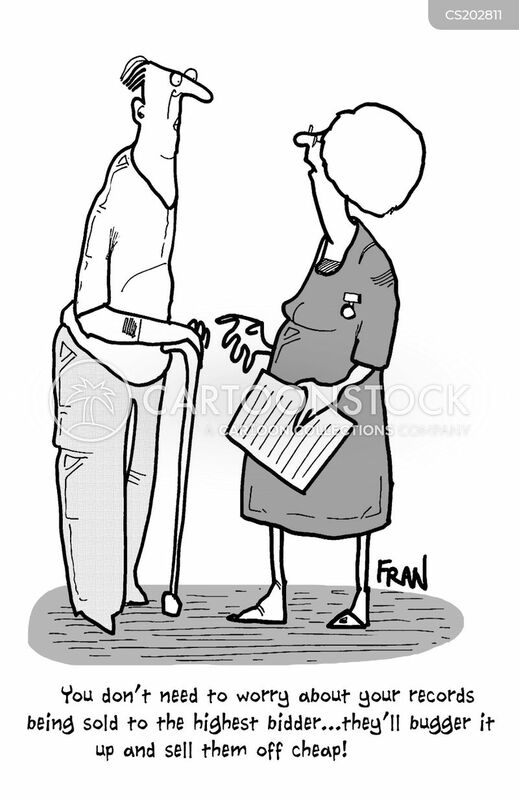 "Oh, I forgot that you missed the meeting. 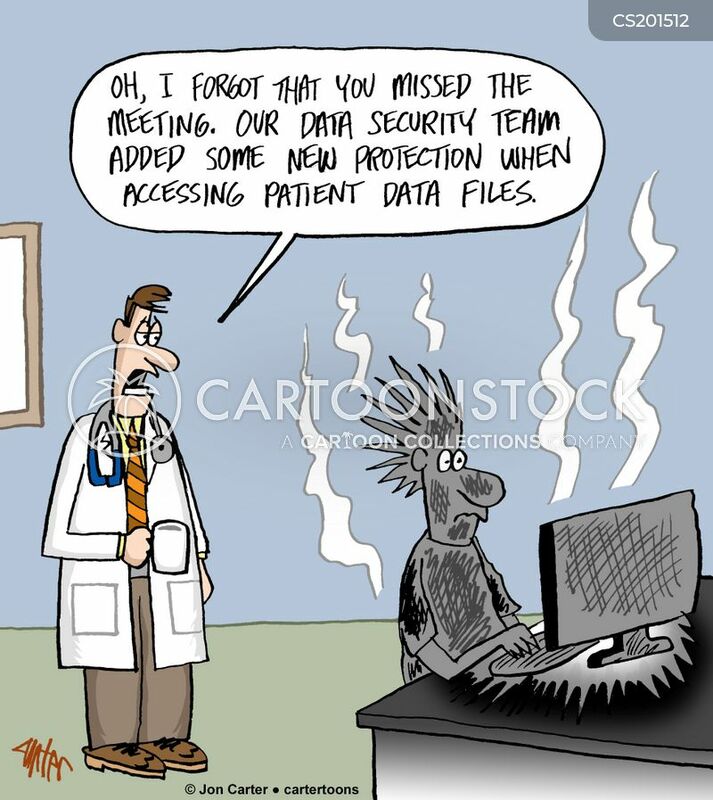 Our data security team added some new protection when accessing patient data files." 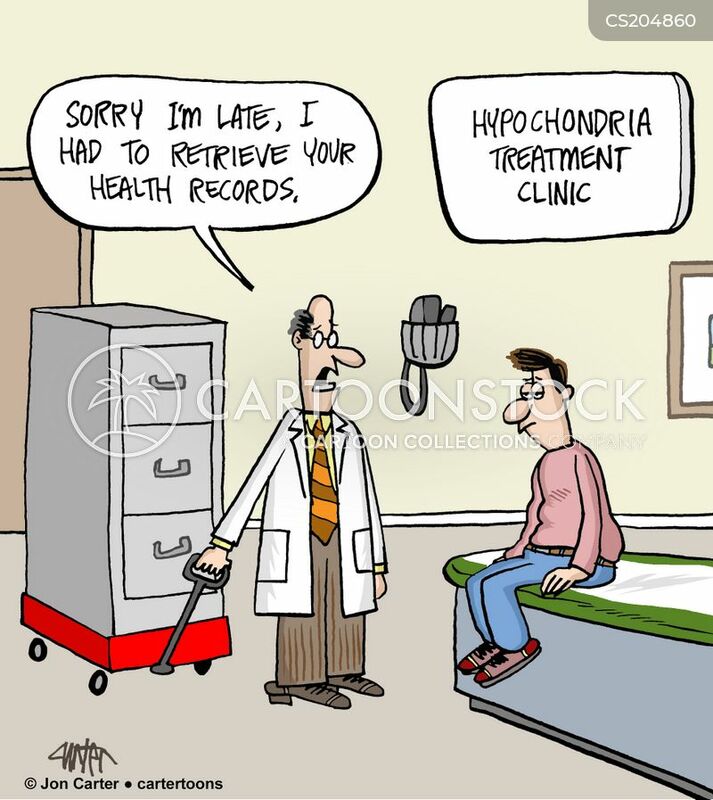 "Sorry I'm late, I had to retrieve your health records." 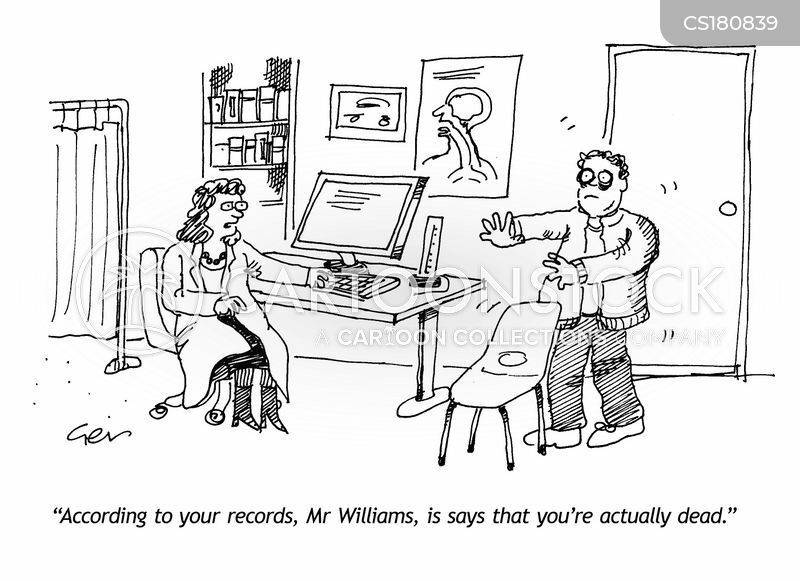 "I can't find her records. 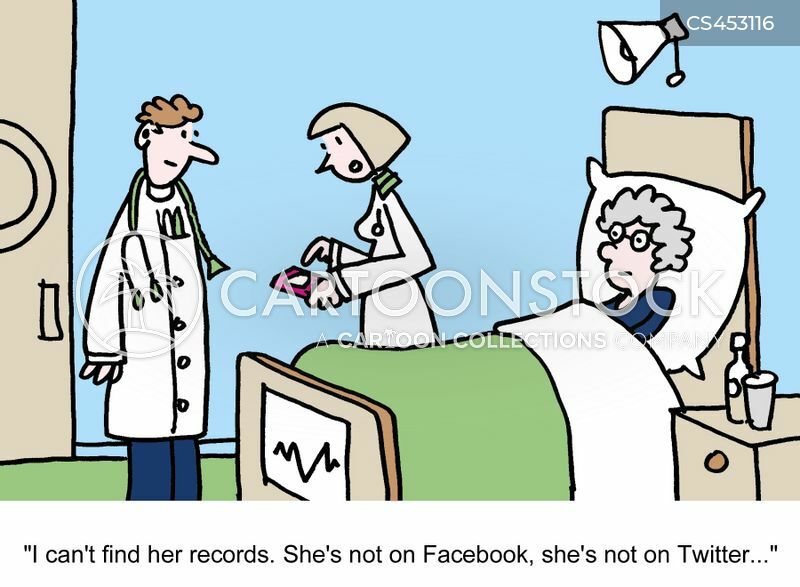 She's not on Facebook, she's not on Twitter..."
"Him? 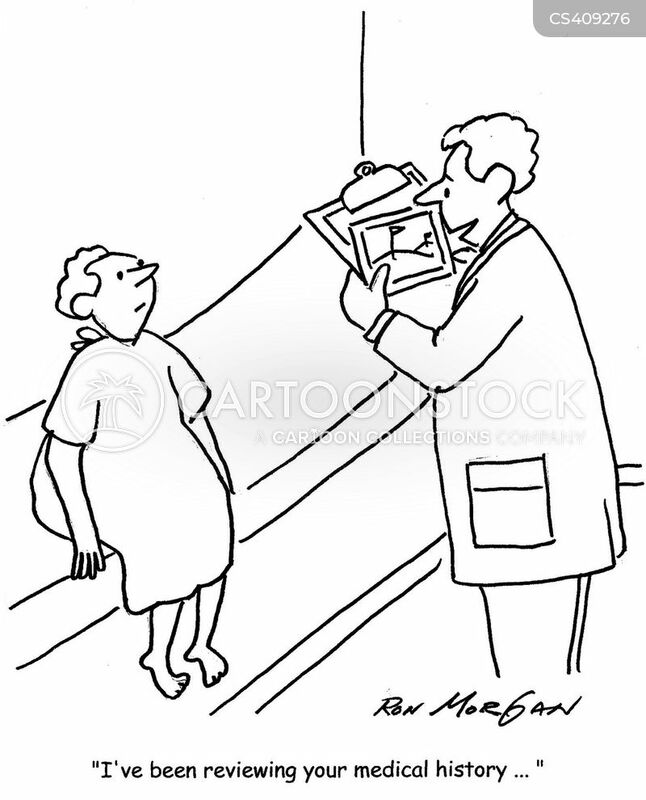 No he isn't my doctor, don't be foolish. 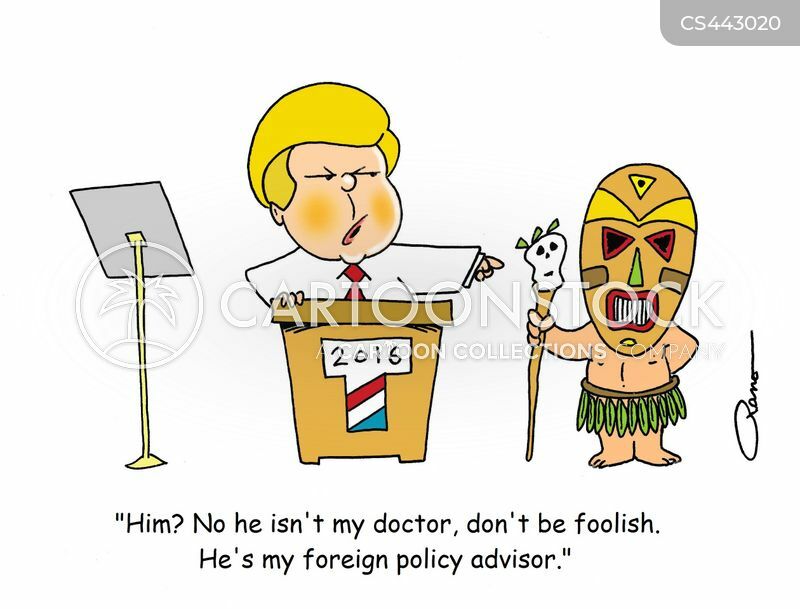 He's my foreign policy advisor." 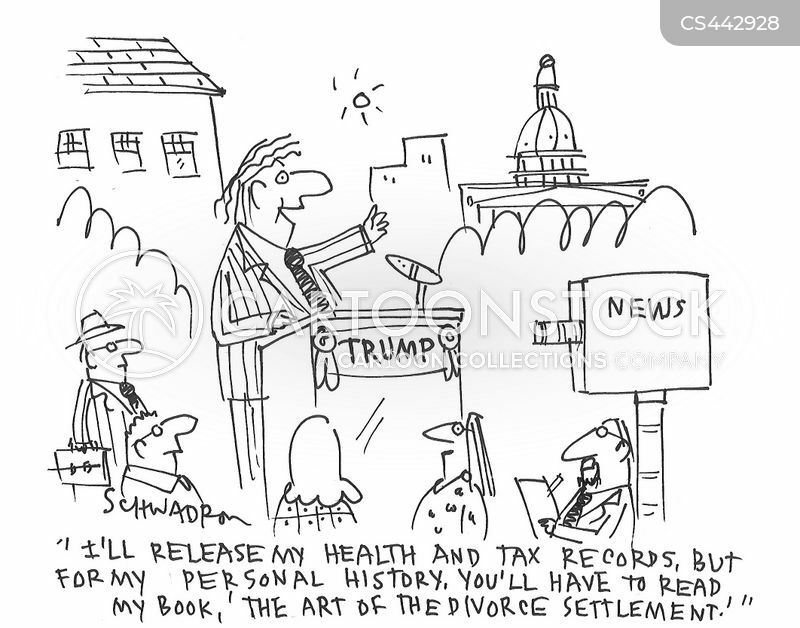 "I'll release my health and tax records, but for my personal history, you'll have to read my book, 'The Art of the Divorce Settlement.'"